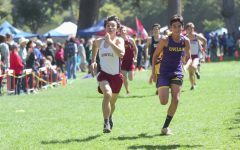 Senior Noah Battaglia leads the pack, with the rest of the boys varsity team following closely at Golden Gate Park on Sept. 20. A trio of freshmen run together. 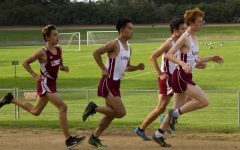 Lowell’s cross country team lined up at the infamous “big tree” at Lindley Meadows in Golden Gate Park on Sept. 20 to compete at the 58th Annual Lou Vasquez Memorial Cross Country Invitational Meet. Hosted by City College of San Francisco (CCSF), this was the first time that this meet included a high school race and was also the Cardinals’ second meet of the season. The Lincoln Mustangs, Galileo Lions, Washington Eagles, Burton Pumas and ICA Spartans also participated. 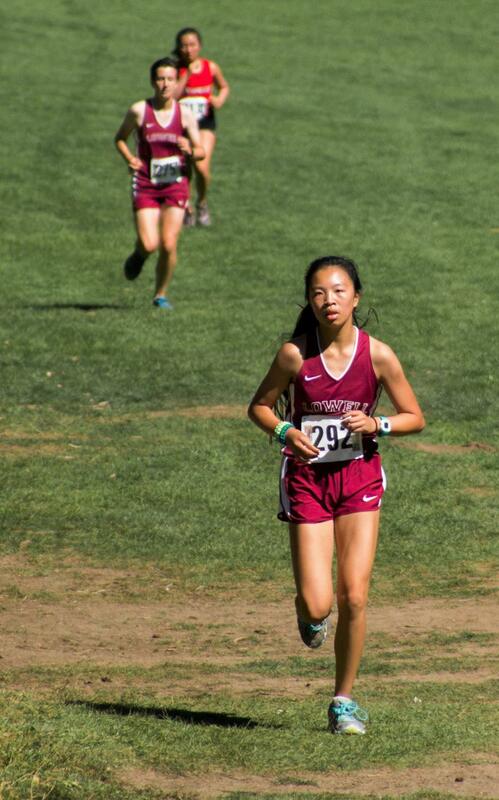 Sophomore Claire Low ran a 22:50.13 at the meet, coming in at 9th place in the girls race. 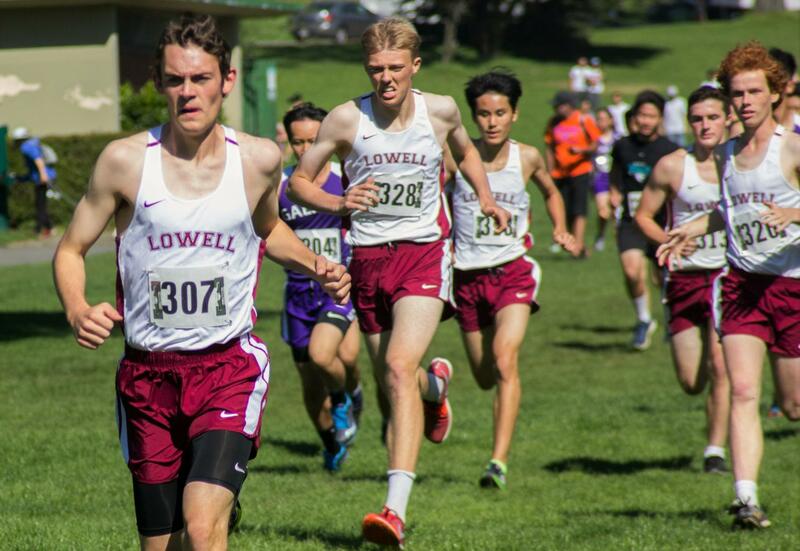 Lowell swept the high school boys division, with 13 runners in the top 15. The top three runners in each race won digital watches and the top 15 won t-shirts. 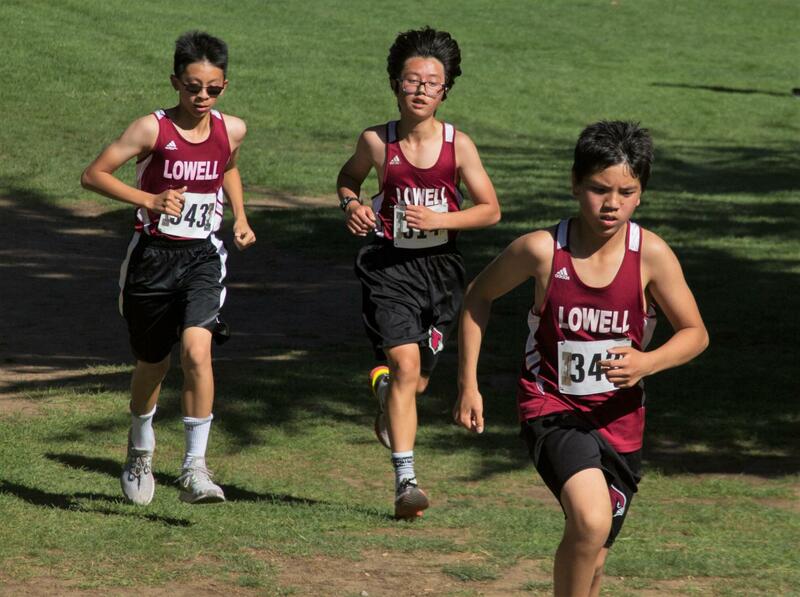 According to senior co-captain Henry Lei, who placed 4th at the meet, many of the varsity boys ran this meet as a workout instead of a race, and were still able to surpass their competition. Senior Noah Battaglia won the 5,000 meter race with a time of 16:29.58. Senior Ian Lawrence followed with a time of 16:54.19, about a second off of his previous personal record. Junior Zachary Parker took third place with a time of 17:22.21. The boys earned a perfect score of 15 points. 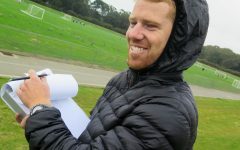 The first five runners from each team to pass the finish line receive the points that correspond to the place they came in. The team with the lowest score wins. On the girls side, the Cardinals secured first to 6th place, and had 11 runners in the top 15. The girls also obtained a perfect score of 15 points, led by freshman Elizabeth Holcombe who came in first place with a time of 21:03.49. 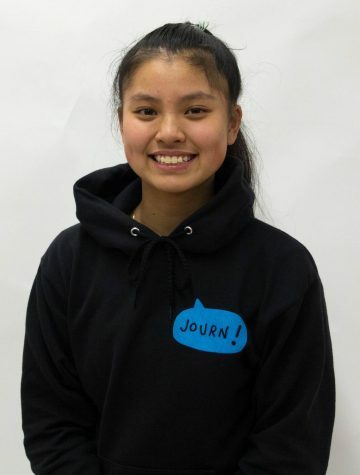 “She [Holcombe] has the potential to and could possibly win All-City this year as a freshman,” Lei said. Senior co-captain Charlotte Greenhill came in second place with a time of 21:08.92 and freshman Jenna Satovsky followed closely to place third with a time of 21:10.98. Greenhill hit a huge personal record, beating her previous time by over 30 seconds.